The Amazon Kindle Fire is the latest gadget to be released by the online retail giant, and its first real foray into the tablet market. The $199 device is a 7″ tablet running Android, but branded all over with Amazon services, including music and movie sales, the Amazon App Store, Kindle books, digital magazines, and their very own Silk browser. It was announced last week and took the tech community by storm, scoring close to 100,000 sales on the first pre-order day. There’s reasons to be enthusiastic about the new tablet. At less than half the price of an iPad, even compared with other Android tablets the Kindle Fire is cheap. In fact, analysts who looked into the fabrication process believe that the company is losing money on every sale. The goal is obviously to gain new customers for all of its online services, through the device, the same way its Kindle has driven e-book sales. There have been some concerns however about the way this new tablet is going to impact users. For one thing, while it is running Android, the Google operating system, it’s actually running a heavily modified version, one where Google is completely removed from it. There’s no Google integration at all, no Android Marketplace, having instead been replaced by Amazon products. Also, the new Amazon browser, Silk, is said to be faster than other browsers because it caches content on cloud servers. This has privacy advocates asking questions, like whether private and encrypted communications are intercepted this way. But based on numbers from the first day, it’s clear users have spoken with their wallets. 100,000 sales is not the 300,000 day one sales the first iPad had, but compared with every other tablet, it beats them easily. 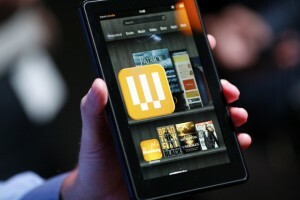 There’s a clear demand for low cost tablets, and customers are willing to see past the concerns to get a Kindle Fire. Also, Amazon is a well known and usually liked brand, which helps with the sales. As for retailers, they seem quite pleased with the new device. About the Fire and the other new Kindles announced recently, the CEO of Best Buy said “We think these Kindles are going to be some of the hottest gifts this year.” At $199, they do make a great Holidays gift, but it could mean trouble for the competitors in the market, especially other Android tablets from Samsung, Motorola and HTC. Still, with its beautiful screen, fast processor, cloud storage and wi-fi access, there’s little doubt that Amazon has another success on their hands. Time will tell whether it will make a significant dent in iPad sales, but few are doubting the fact that we’ll be seeing Fires under the trees. Comments Off on Amazon to Offer Video Streaming Service? Rumors have begun to spring up suggesting that Amazon will begin offering streaming video service to Amazon Prime subscribers. The service would offer about 5,000 titles to start, with additional titles to be added over time. If the rumors are to be believed, any Amazon Prime subscriber would have access to Amazon’s streaming library. Rumors have been circulating for a long time indicating that Amazon intends to compete with Netflix with a streaming service of its own, which lends credibility to the latest rumor. An Amazon Prime subscription will set you back $80 per year, which actually puts it ahead of Netflix’s $7.99 per month streaming plan which will set you back a total of $95.88 per year. Amazon Prime subscribers also receive free two day shipping on all their Amazon orders, which would certainly add value to the service when compared with Netflix. Although Amazon’s streaming service would be priced lower than Netflix, the success of such a service would lean heavily on Amazon’s ability to continue to add new titles to the service, as well as their ability to bring the service into their customers’ living rooms. Netflix currently offers tens of thousands of movies and TV shows to their customers, and Netflix subscribers can stream the content to their televisions through a wide variety of devices. In order for Amazon’s service to present any real competition to Netflix, they would have to build up a comparable catalog of videos, and a similar distribution model. Amazon has been working hard to expand their digital offerings over the past five years. While their streaming service hasn’t been officially announced or addressed by anyone at the company, it would fit in nicely with Amazon’s efforts to offer more digital content to their customers. Amazon has gone as far as to register several domain names that lend credit to this rumor. Amazon-owned DPReview has registered the domain primeinstantvideos.com, as well as several variants of that domain. The service may not be official just yet, but if Amazon is buying up domain names, chances are an announcement isn’t far off. This is an awesome deal if you like dance music. 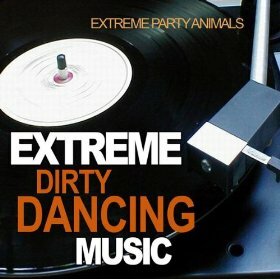 Get 15 free Extreme Dance Party MP3s from Amazon.com. Click here to download free Mp3s. Amazon is having a February magazine sale. Some magazines are going for $5.00. I only buy my magazines at Amazon.com. There isn’t a less expensive place to purchase magazines. Click here to shop the Amazon.com magazine sale. Amazon.com is having a Blue-Ray sale. You can get 50% Blu-Ray DVDs right now. Visit Amazon for more details. Just click here to go to the Amazon.com music page where you can download a new song free for 25 days. “Every day through December 25, we’re unveiling a new holiday song available to download free for a limited time. Check back daily to see what’s next.” In order to download the free Christmas song you need to get the Amazon MP3 Downloader program. Next, I just clicked on the song I wanted and in about 20 seconds the song was downloaded free to my computer.